Late Saturday night, the Blackhawks trimmed their roster to 24 by sending forwards Brandon Pirri and Jeremy Morin and netminder Antti Raanta to Rockford. The moves leave the active NHL roster at 13 forwards, nine defensemen and two goaltenders. One of Ryan Stanton or Mike Kostka will have to be sent to Rockford to get the roster down one more spot. Indications are that Kostka has won the eighth spot on the Hawks’ blue line over Stanton. In Saturday night’s preseason finale, Kostka skated 19:55 with one hit, one takeaway and one blocked shot. He also played 1:25 on the power play and 55 seconds short-handed. Meanwhile, Stanton was a healthy scratch. Update (Sunday): the Blackhawks have placed Ryan Stanton on waivers. Also, Kyle Beach has been loaned to a team in Sweden. Update II (Monday AM): the Vancouver Canucks claimed Ryan Stanton off waivers. I had a family committment last night and wasn’t able to catch the game. Checking the boxscore and highlights this morning it looks like the three that made it (28, 22, 42) all played pretty well last night. The goal Hayes scored was pretty nice, Nordstrom led the team with 5 hits and PK ice time, and Smith picked up an assist. Keeping fingers crossed that Sharp can stay healthy this year – he looks like a man possessed this preseason. That Olympic carrot might have been a little extra incentive to come into camp in tip-top shape this year. Keep it up Sharpie. 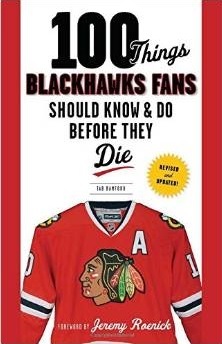 Hopefully Crawford’s stiff back is not going to be an issue, especially after Khabby lets in 3 goals on 17 shots – yikes! And finally, Leddy! Won’t that be nice if Leddy adds goal scoring to his amazing skating. So does this mean Hossa and Handzus won’t be on IR to start the year? I like how this roster shaped up. Nordstrom is another excellent find by Bowman. He’s got a big role to fill and sure seems up to the task. I’m not a fan of Pirri, so not terribly surprised by his demotion. Morin is overrated. Has been for two years. He needs a change of scenery. Wasn’t Wall or Sr Brad really high on Stanton? What’s going on there? I’m sure once Brookbank is moved Stanton will be joining the big club. I had the feeling something was up with Pirri. From reading Tab’s recaps I had the thought Saturday (Who is Nordstrom) that Pirri was on the outs. Again, not that he is a bad player and maybe he will develop. But he simply did not reach out and grab the spot. Injury?, bad luck? whatever. The coaching staff is looking for this years Saad, and it is not Pirri. I hope the kid is not too disappointed and does well enough to get call ups during the year. @Mr. Wangsauce, I think the organization likes Stanton. The problem is that he’s currently not a top 6 d-man on this team, which means he would hardly see any minutes. With a young guy like him, better to let him get big minutes in Rockford and continue to develop. He’ll get his chance, probably this year yet (with inevitable injuries). I guess I’m not understanding why he was placed on waivers. I believe he has a one way contract, that’s why he has to clear waivers before going to Rockford. And I believe a lot of us think Stanton is going to be a good third pairing defenseman, but Kostka has played insanely well in camp and he earned a roster spot. I still think they try to move Brookbank, but I don’t think that frees up a space for Stanton. My guess is that of the extra 3 roster spots, 2 will be forwards and 1 will be a defensemen. It was a short summer boys, I’m looking forward to arguing over hockey on Tuesday night. Stanton has a two-way contract for 2013-14 and a one-way deal for 2014-15. Kostka had an edge on Stanton in PP potential; I can see Quenneville using him in a role similar to what we saw from a then-healthy Montador a couple years ago. I hope Stanton remains in the organization to get a shot at some point, but placing him on waivers indicates the organization might be moving in another direction. We still have rediculous depth, and we will survive without him. I am surprised though that he was placed on waivers. This could be him getting his wish from the organization or points to the inability of the Hawks to find a taker for Brookbank…but if Kostka is a cheaper Stanton and is kept on the active roster…maybe we will find a taker for Brookbank. I like rewarding Kostka with a spot…hopefully it will show others in the organization (along with Nordstrom) that nothing is decided and hard work (and a little bit of Big Club need) is what will get you a spot on the team. Perspective is in order. Ryan Stanton was a guy vying for the 7th or 8th defenseman role ! He’s a spare part…he’s cheap filler type…was never going to beat out Keith, Seabrook ,Oduya, Hjalmarsson, Leddy on the depth chart. Too bad Stanton was lost to waivers, but life moves on. If Stanton is being considered for anything more than a 6th or 7th defenseman slot with the Canucks, then the Canucks have major problems ! Adam Clendening is a real, blue chip prospect. He’s the future on defense and the kid to pay most attention to. 6 is better now anyways & Clendening is going tobe good(not ready until 27 contract is up though…), but I didnt think 55 would be waived… 6 is better option for our 7th man, just no extra guy after 17 gets traded? Maybe 17 & 27 finish out contracts. Still think we are adding a good foward at deadline. I was surprised my Stanton being waived but as many said if you are counting heavy mins for Stanton or expecting a lot you have a weak team. SrBrad will be upset he was big on him. Apparently waivers apply to anyone who is not in an entry level contract. Stanton was in the first year of his second contract. The Rockford shuffle avoids the waiver wire only if the player is EL, which currently includes only Saad, Shaw, Hayes and Nordstrolio.